Welcome to this week's edition of And Finally, the place where we round up some of the rumours and lighter stories from the past seven days. It's been a bumper week of speculation, with a Google Pixel Watch reportedly in the works, a LG Wear OS smartwatch potentially dropping in June and a patent keeping whispers regarding a round Apple Watch alive. We even got hints that the next Samsung smartwatch may be called the Galaxy Watch. In other words, Wareable reader, it's all been going off. But for everything else going on in the wacky world of wearables, read on below. 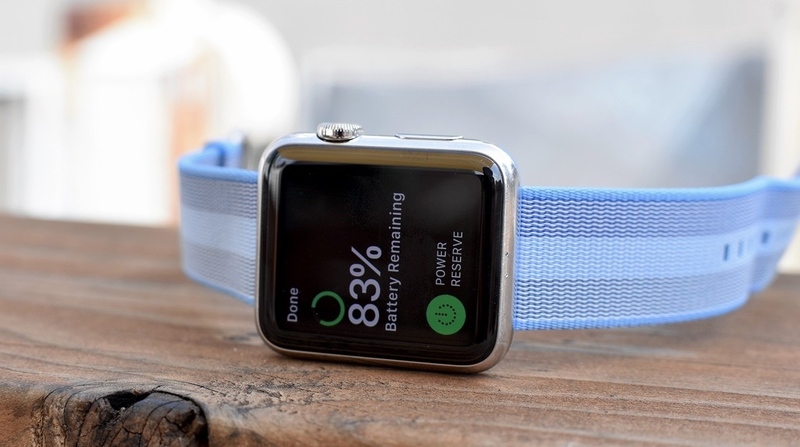 Apple is already preparing to launch its all-in-one charging unit, AirPower, later this year, but it may not be the only way to wirelessly charge your Apple Watch moving forward. AirPower allows you to place your iPhone, Watch and AirPods on the surface at the same time and bask in simultaneous charging. And, currently, the Apple Watch doesn't have the technology built inside to gain power through Qi wireless charging units - at least on a consistent basis. But according to a filing uncovered by Patently Apple, that could all be about to change. The patent details some pretty complex charging mechanics, but the takeaway here is that updated internals on the back of the Watch could be aligned with the likes of mats and cradles in order to allow for cordless charging. Few details are explicitly given with regard to the concept, with the patent more focusing on the adapted solenoid technology that could change the charging puck, but this does appear to be on Apple's radar. Here's hoping it makes its way onto the Apple Watch Series 4 later this year. Though Garmin has partnered with many major US banks since launching Garmin Pay at the back end of last year, those in Europe have largely been left in the cold. The crop is still thin, but customers of the UK's mobile-only Starling Bank will now be able to use Garmin Pay. Available for both the Vivoactive 3 and Forerunner 645 Music, Garmin's alternative also joins equivalents from Apple, Google and Fitbit to be aligned under the bank - a move which, interestingly, makes it the only bank to partner with all four wearable players. Now, Garmin, how about partnering with a bank most people have actually heard of? We've routinely detailed the accuracy limitations of light-based, optical heart rate sensors, but a fresh innovation from lighting manufacturer Osram could mean that wearables harbouring the technology could soon be open to stronger battery life. The company, one of the leaders in the optoelectronics industry, and therefore behind many of the LEDs you see in everyday smartwatches and fitness trackers tracking heart rate, announced that it has improved efficiency in its green LEDs by 40%. The breakthrough means that the company's values for forward voltages are now the lowest known to the world, and also that the burden 24/7 tracking leaves on a wearable's battery could soon be a thing of the past. A graduate student at the University of Colorado has developed a wearable unit that can help foragers collect data on environmental conditions while they hunt for mushrooms. In a recently published piece detailing the project, Jen Liu describes how she built a system which comprises of a walking stick that collects and stores samples of dirt and a glove that takes soil moisture readings when you dip your fingers into the earth. The glove is embedded with soil moisture sensor, with the wearer able to collect data on the wetness of the soil - an indicator of where certain mushrooms may grow.